This is a fun filled introduction to the art of swordplay! First, you will learn some basic foot work and blade work. 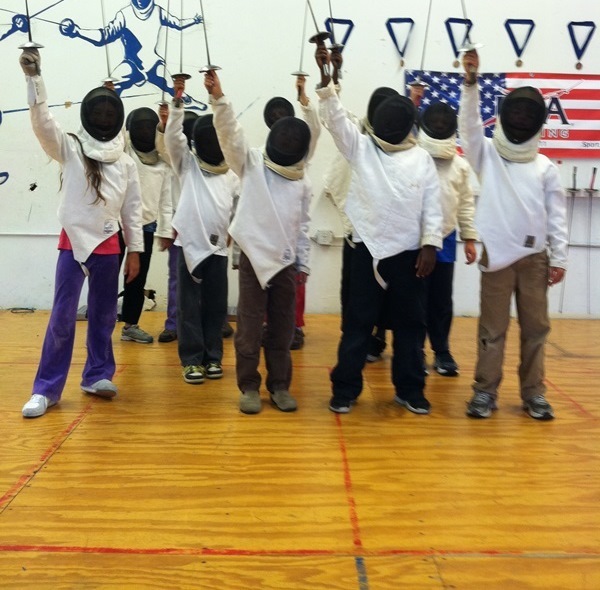 Then you will play fencing games that are loads of fun for everyone! Parties/group classes are 1 hour and 30 minutes. All the equipment is provided as well as a table and chairs. You supply the food, beverages, and utensils. Exclusive access to the facility! Fee: $399 for up to 12 people, and $20 for each additional person. Contact: Karen Ladenheim-Martos. kmartos@sportfencingcenter.com or call 510-528-5110.